We matched them with the white Fiaba, our bled of Chardonnay and Rebola grapes, a native grape that we preserve with love in our vineyards. Thanks to its excellent persistence, to fruity notes and a good minerality, it’s excellent with a dish whose consistency is based on Parmesan. Mix all ingredients together to form a mixture of good texture. If the mixture was uneven and too soft, add some breadcrumbs and Parmesan. Then form some loaves, and let rest 10 minutes. Meanwhile, boil the broth (better if meat, but also great the vegetable) and place, one at a time, the loaves of dough inside the potato masher. Using a knife, press the potato masher firmly and pour directly into the stock. you reach the desired length, cut the passatelli with the knife. When the passatelli emerge on the surface, use a perforated spoon to collect and distribute them in soup plates. Pour into each plates, one or more ladles of broth. If you like, you can add more Parmesan. 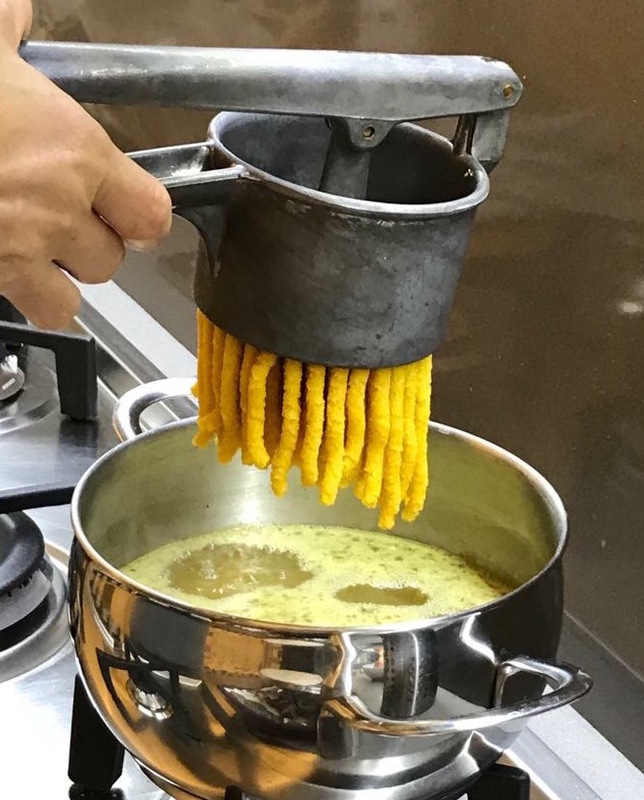 This entry was posted in Recipes and tagged Fiaba, homemade, parmesan, passatelli, recipe, tradition. Bookmark the permalink.